You are here: Home / Fight Yourself Fit / Dave & Leanne take on the ‘Fight Yourself FIT’ workout! Leanne and Dave have stepped up to the plate and are taking on the ‘Fight Yourself FIT’ workout. Over the next 6 weeks, they will be completing the workout 4 to 5 times a week. 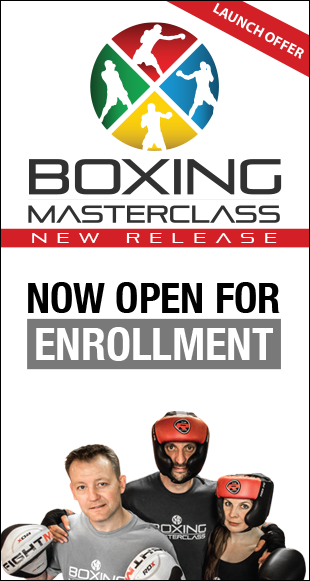 Already avid boxing fans, these guys relish the challenge of getting fighting fit and are keen to see just how much of an improvement they can achieve in a relatively small length of time. Dave, who weighed in at 133Kg (21 stone) has already lost a massive two stone by training with Cornelius and now feels he’s ready to up the intensity and see just how grueling the workout is. Dave says “It’s going to be tough but enjoyable”. Leanne weighed in at 98kg (15.4 Stone) and is also looking forward to smashing the next six weeks, to really improve her fitness – when asked if she was up for the challenge, she said “I’m looking forward to my legs coping better with the jumps”. 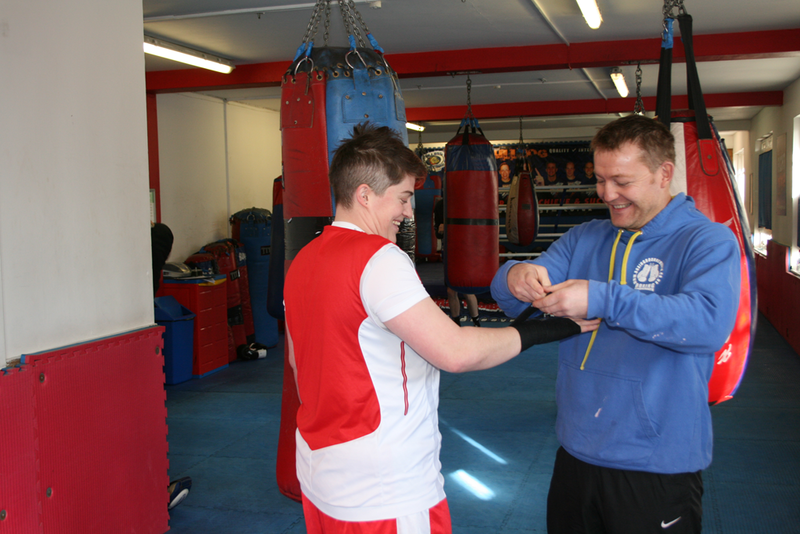 – The Sneak Punch Team will keep you up to date with Leanne and Dave’s progress. We hope to have some video diary clips to share with you along the way. Good luck guys and we shall look forward to catching up with you! The ‘Fight Yourself FIT’ workout is a quick 15 minute routine designed to teach you basic boxing techniques – all the while giving you an all over body workout. 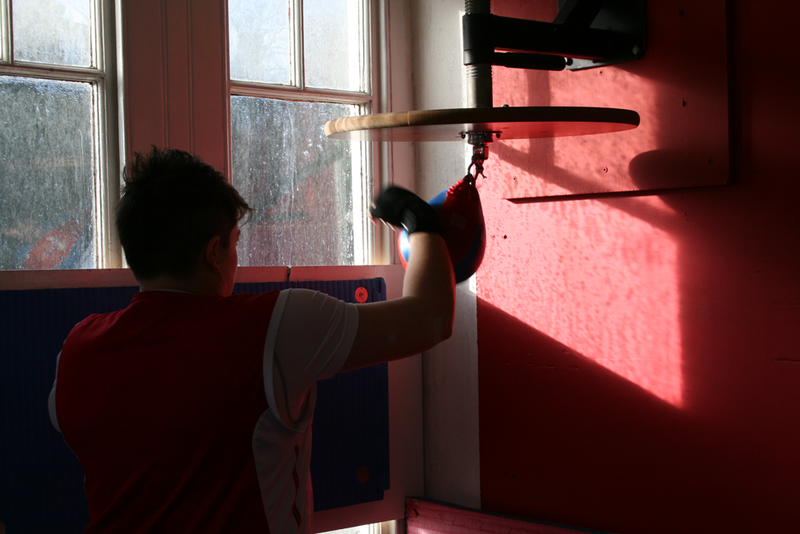 We love working the legs, boxing involves a lot of leg work, not only to get you around the ring, but also to increase the power of your punches. An added benefit is that due to the large muscles in the lower body, working your legs means burning loads of extra calories:-). Don’t worry if you find the leg workouts hard, the more you do it the easier they become – and the more fat-burning you achieve. During the workout, you’ll see that a lot of time is spent learning and practising techniques. 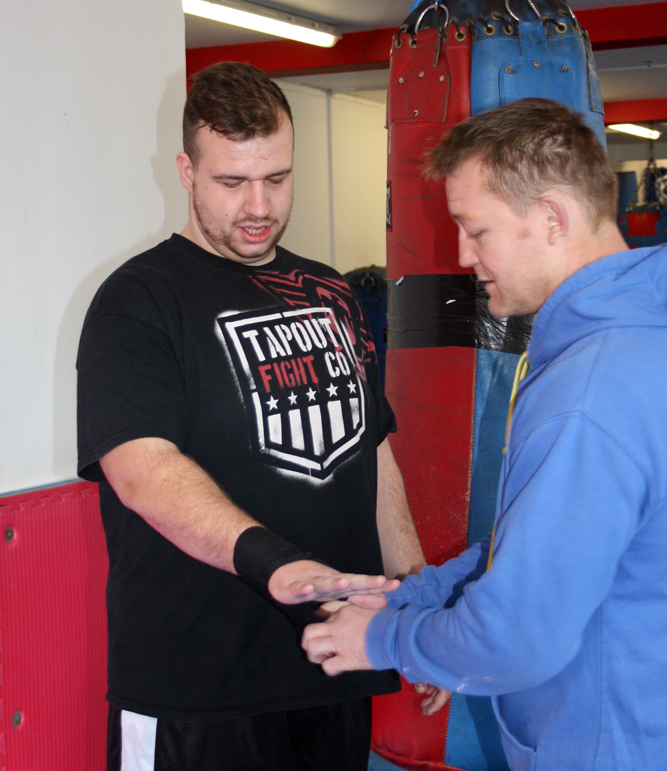 This is a major benefit and we have purposefully included these techniques – we feel that if you are going to take the time to workout, it is important to learn while you train – not only does this give you a sense of achievement, it massively improves your hand eye coordination and gives you something to work towards. Why don’t you give the workout a try – it’s completely FREE and all you need to do is add your email to the box below – Don’t worry we don’t send spam or share your details with any 3rd party companies – we just want to spread the positives of boxing fitness.